From August 27 to September 1, 2017, 1,500 delegates from intergovernmental organisations, governments, research institutes, NGOs and the private sector will gather in Foz do Iguassu, Paraná, Brazil for a conference hosted by the Society for Ecological Restoration (SER), Brazilian Society for Ecological Restoration (SOBRE) and the Ibero-American & Caribbean Society for Ecological Restoration (SIACRE). The conference is focused on bridging the gap between restoration scientists and practitioners and IUCN will be presenting lessons and experiences from countries where it has been working towards linking science and on-the-ground interventions. 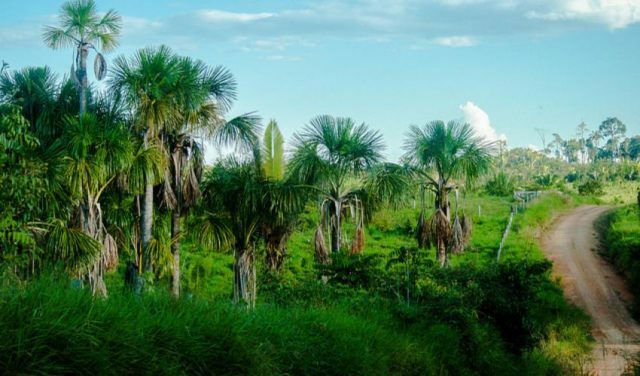 In South America, countries have made pledges to restore landscapes as part of the Bonn Challenge – a global effort to bring 150 million hectares of degraded and deforested land into restoration by 2020 and 350 million hectares by 2030. IUCN is supporting governments and partners in applying the Restoration Opportunities Assessment Methodology (ROAM) to identify degraded land and priority landscapes for restoration as well as create implementation strategies. At SER2017, representatives from the IUCN secretariat, member organisations, commissions and implementing partners will be presenting the results of ROAM from Brazil, Colombia and Peru with a focus on the various stages involved in the process such as analysing restoration opportunities, the economic benefits of landscape restoration and the prioritisation of specific restoration actions or particular areas to start restoration. ROAM is a living methodological framework that is being continually adapted by IUCN. At the conference, IUCN will be presenting a joint publication with the Atlantic Forest Restoration Pact (PACTO) that highlights how women’s participation in restoration can be enhanced. The training package provides an important framework for engaging women in knowledge generation and sharing, transferring technological and technical information to female stakeholders and developing supportive policies to ensure their sustained participation. It complements the recently-released guidelines on gender-responsive ROAM processes, available here. A workshop on ‘Building Sustainable Landscapes through Gender-Responsive Restoration in Brazil’ is also scheduled to share learnings from the process as well an intensive training workshop on the application of ROAM. IUCN’s ROAM training module has been accredited by the SER Certified Ecological Restoration Practitioner (CERP) Program and CERP participants will receive 12 continuing education credits for attending the ROAM workshop. IUCN will also be showcasing how restoration interventions conducted under the Bonn Challenge can contribute to national and international targets on biodiversity conservation. A set of draft Biodiversity Guidelines for Forest Landscape Restoration Assessments will be introduced during an IUCN Commission on Ecosystem Management (CEM) Forum on Biodiversity and Landscape Restoration prior to the start of the conference. These guidelines will provide both decision-makers and restoration practitioners with the resources, tools, and methods to ensure that the biodiversity inherent in landscape restoration activities is recognised, identified, and fully integrated into the assessment and decision-making process. IUCN’s presence at SER is a crucial component of our engagement with our members and the diverse stakeholders involved in restoration. Follow us on Twitter and Facebook for updates from the conference.